Hello again, this week at Ruby's Rainbow, the challenge is Just Because....... maybe we should send more cards for no other reason than Just Because, for I am sure it would always be appreciated. Could this be another of my plans for next year? I was fortunate to buy this stamp at a recent Ross Craft Event, the stamp is from 'The Stamp Barn' which is a Canadian stamp company. I think it is so elegant and suitable for many occasions. I used Promarkers to colour it. The dark rose matting card is a piece of Core-Dinations. 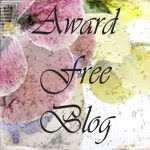 Please pop over to the blog to see the Design Team's inspiration. Hello again, another week has passed us by and it's time for the challenge at Cardz 4 Guyz. This week, Kim has chosen for us Food and or Drink. Please check out the blog for the team have created some lovely cards for your inspiration. For my card I thought along the lines of thanking a cook for a wonderful meal, I am hoping you have all had a wonderful Thanksgiving and have enjoyed your Thanksgiving meals across the pond and for those who may have celebrated here in the UK. Maybe this card would be suitable for you. I cut half of the front cover off to show the pretty food scattered paper on the inside. The chef is decoupaged which adds more interest. The wording is ' Thank you - Serving Up A Feast'. The papers are from a Janet Kruskamp CD, produced by Joanna Sheene. Thanks for visiting, which is greatly appreciated that you took the time. Labels: Cardz 4 Guyz, Janet Kruskamp CD, Joanne Sheen CDs, Thank You Card. Hi, we at Fantasty Stampers would like to see a Cute Christmas for your next challenge project. Please pop over to the challenge blog to check out what the Design Team have created. I just love this design from LOTV, called Penguin Presents, it is such a fun stamp and a lovely one to sit and colour with Promarkers. It's on a round scalloped card, which I made into an easel card. Another Christmas card ready for my collection. You have two weeks, so I hope to see you during my visits. 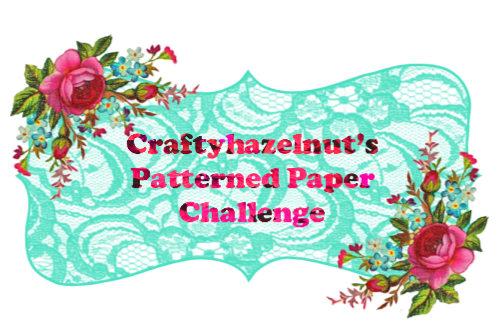 Well, I certainly jumped out of my comfort area with this week's challenge at My Time To Craft (MTTC). The challenge is Time and or Space. Please do pop over to the challenge blog to see the Design Team's inspiration . I decided to go for Space - The Last Frontier. I used a dark blue 8 inch square card. Scattered peel off stars over the page. I found via Pinterest a free Aliens print out page provided by Leone Betts, to whom I am so grateful. I coloured the digis with Promarkers. The planet began, many months ago, in one of my inky, messy sessions, when the pages are spritzed, splattered and generally messed about, to be dried and put away for another day. This being one of them. This piece of card seemed just the right piece for the planet and after it had been embossed with a snake skin Embossing Folder, which created craters. The larger spacecraft is stuck on with a wiggly spring, it is such a shame you can't see it moving on the page, it makes the card so interactive and fun. Wiggly spring available from Wear Crafts I look forward to visiting you during the next week, have fun creating your Time - Space challenge. It was my turn to choose the subject, it being for the letter U in our Alphabet Challenges, I love the idea of the mythical beauty, the UNICORN. I do hope you have fun creating your project with this beautiful animal. 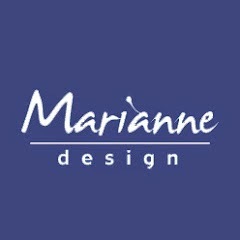 Please visit the blog to see the wonderful inspiration from the design team. I used a blue scalloped 8 inch square card. The background paper and the main image are from a CD I bought from E Bay Unicorns from Maria G Designs, which I don't think are any longer in business. I matted the main image onto holgraphic silver card. Added some pink/purple pearls, along with ribbon and a piece of purple and silver twisted cord. along with a Happy Birthday sentiment. Hello again, the challenge this week at Cardz 4 Guyz has been chosen by Julie, everyone loves to have a Christmas Stocking full of little goodies and secret surpirses. We would like to see any style, design or cration of a Christmas Stocking. The design team have created some amazing inspirational cards for you so please do pop over to check them out. I decided to make a CAS card. I bought the scalloped round dark blue cards recently so felt I needed to try them out. I used my new round dies to create the holographic silver mat and the same blue card for the image. The stocking is from Debbie Moore, yes, it's a number of years old but I do love these stamps. The greeting is from the same set. I used Stampendous eaxtra fine detailed white Embossing powder to emboss the stocking and the sentiment. I'm looking forward to visiting you to see your Christmas Stockings for a MALE. Sparkles Monthly Challenges it was my turn to choose the theme, so I have chosen 'The Big Guy'. We, the Design Team, have created inspiration for you so please do check out the challenge. I used a stamp set from Kanban. I stamped in red and black Ho Ho Ho to create the background. I used Festive Berries DI to the edges and around the circle. I used Promarkers to colour. Dovecraft Crystal Glitter glue on the fur edgings. I love using the Fluffy stuff, it is so magical. I added this to his beard. You just add the liquid, then heat it with your heat tool and it bubbles up and stays fluffy when it cools down. I'm sure you'll have fun, creataing your project, I'm looking forward to visiting you. Hi, for the next two weeks at Ruby's Rainbow, the challenge is to make a project for Christmas but for it to be a Non-Traditional design. 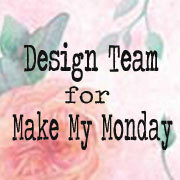 After seeing my Design Team card why not pop over to the blog to check out the amazing inspiration from the team. Firstly I thought about colour, black and white has not as yet, become traditional. I love doing Zentangle work, I'm not as good as I would like to be, but I am practicing. This Rudolph stamp from Woodware is the perfect open space needed to play with the tangles. The small tag Christmas greeting is from LOTV. I hope you like my Non -Traditional style Christmas card. Have fun everyone. Hi for the challenge this week at Cardz 4 Guyz, Andrea has chosen Thanksgiving or Thankful. Our US followers will be celebrating their Thanksgiving and we on this side of the pond could take time to say Thank you to our family or friends and for us all to be thankful for the good things in our lives. For my card, the base is a Kraft card, The insert in the aperture is part of a lovely stamp from Little Claire - Swirly Owls, coloured with Promarkers. The tree panel is a piece of Kraft card, I used an Embossing Folder to get the bark effect, I used Gathered Twigs DI to colour the bark effect. A few leaves punched with a Matha Stewart leaf border punch and a thank you greeting from my stash. The bark panel was added to the main card, using dimensionals to create a depth between the two cards around the aperture for the owls. Sending warm thanks to all my US visitors during their Thanksgiving period and my thanks to every one of my visitors and for their lovely comments. Labels: Cardz 4 Guyz, Embossing Folders, Little Claire, Thank You Card. RED Alert! 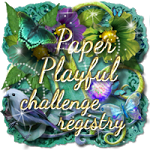 This is the challenge for the next two weeks at Fantasty Stampers. We want to see anything you have created which is predominately RED. Please remember digi stamps will not be considered in the choosing for the Top 3. You must have added ink to an actual stamp. Pop over to the challenge blog to see how the Design Team have been able to deal with the RED Alert! For my project I have made a Christmas card which has a detailed stamped and decoupaged poinsettia. I made a box reversing the two colours of red and cream. The box and card have a Merry Christmas embossed label at one side, a freebie embossing folder, with a magazine. The larger embossed area, one in red, one in cream was created using an Embossilicious E. F. called Christmas Vines. I stamped the Poinsettia from Home Farm Stamps, 4 x in red and again 4 x in cream. Decoupaged the layers. I added gold jewels to the centre of the flower and red gems to the card. Looking forward to seeing you in red over the next two weeks, have fun everyone. The challenge this week at My Time To Craft (MTTC) is for Farm Yard Animals. Some may say I have cheated, for I suppose a cockeral being a bird, is not technically an animal, is it? It's a bird. Hey! ho! My apologies to any who object to my Farm Yard Animal. The thing is I just love this image from The Shawn Jenkins Collection by Oh La La CD's he is so regal and colourful. The additional flowers I made with a die, adding a few pearl stones. Please pop over to the blog to see the rest of the Design Team's contributions for the Farm Yard. Time for the letter T at Alphabet Challenges, we would like to see Traditional Christmas projects. Another excuse for me to make yet another Christmas card. I do enjoy making Christmas cards, which is just as well, the number I make during a year. Please do pop over to the challenge blog to see the amazing inspiration from the Design Team. I decided for my Traditional card to go with a pretty snow scene. The stamp belongs to a friend, from a stampathon we had earlier in the year. I added little colour to the image, mainly green to the trees with a brushed area of blue for the sky. Of course I have scattered some glitter for snow here and there, hoping when enlarged you may see it sparkle and twinkle. The oval die is from Marianne Designs, the script is from a Die I recently bought but didn't keep the packaging, sorry that was naughty of me. Have fun everyone. Thanks for popping by. Hello, another challenge at Cardz 4 Guyz. This week Jane has chosen, 'Toys For The Boys', anything which you think fits, it can be either vintage or modern, any form of technology suitable for the guyz, young or old. 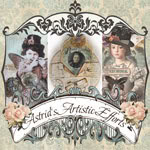 The Design Team and Guest Designer have made some fabulous inspiration for you, please pop over to see thri cards. 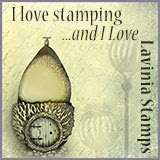 I have long admired Mo Manning's digi stamps, I love my stamps, as long as I can apply ink to them, then stamp an impression, I'm set to play. This is my first step into actually buying a digi stamp and playing with it. It wasn't a painful process after all. This is Video Boy, coloured with Promarkers. I first found the background papers in my paper stash drawer then coloured the edges with Distress inks. This card is perfect for a forthcoming grandson's birthday. Hope to see you at Cardz 4 Guyz. Have fun, enjoy your week. Here we are at the beginning of another month, it is November, how did that happen? 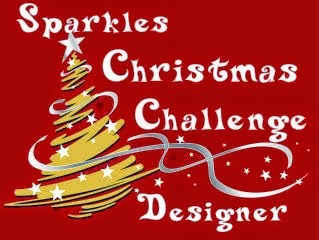 For the challenge for the month at Sparkles Christmas Challenges we would like to see some Christmas Candy. Our US friends make more of the striped candy stick than we in the UK so it's nice to share our various traditions. Please pop over to see the DT projects which I am sure will please and inspire. For my card, I used a CD from Oh La La Creations called The Shawn Jenkins Collection. It's a simple matting and layering card, but nowadays with the cost of postage for cards with depth, it pays to have some flat cards. The bow is made from a template I bought at a craft event. I'm looking forward to seeing all of your Christmas Candy on the blog. Have fun. Another challenge at MTTC (My Time To Craft) , I am still making Christmas cards, but for this challenge you can make any type of card/project you wish, all we ask, is to see a Charm added, as the title says 'Charmed I'm Sure' The Design Team have some wonderful inspiration for you so please pop over to visit the blog. For my card, I was itching to use some new stamps I bought at a recent craft event, such a bargain, I know it's last year's model, but I am so happy to have eventually bought them. This is the robin from a set by Katy Sue Designs called Tall Tails, I coloured it with Promarkers. The background paper is from my stash. I added an angel charm to the ribbon. I hope your liking my DT card and we see you over on the blog.